Over the past few years, the FBI has been involved in several high profile political controversies—the Clinton email investigation, the firing of Director Comey, the Russia investigation, and most recently, Judge Kavanaugh’s Supreme Court nomination. 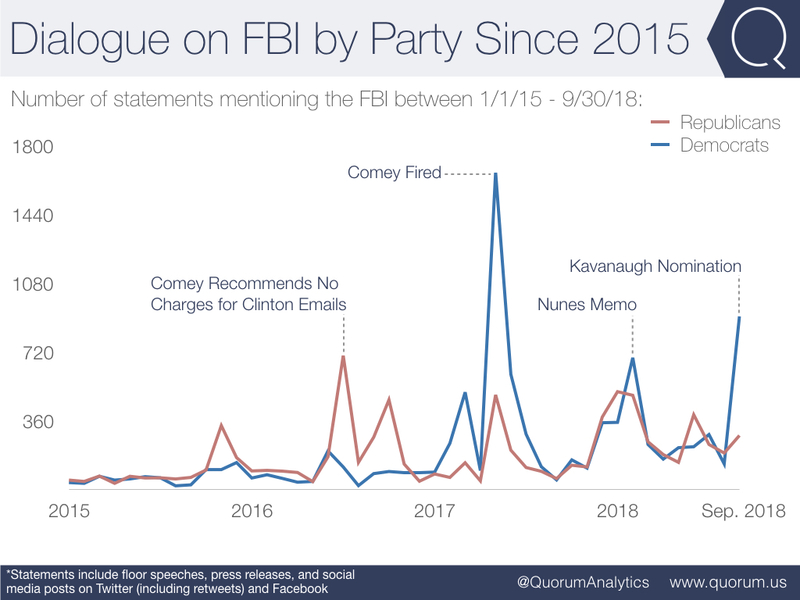 Using Quorum Federal’s dialogue tracking, we mapped a timeline of congressional dialogue around the FBI since 2015 and explored trends in party rhetoric surrounding the agency. Republicans talked more about the FBI before the election, Democrats more after the election. Republicans' most vocal month on the FBI (702 mentions) was July 2016 when former FBI Director James Comey issued a report clearing Secretary Hillary Clinton of any criminal charges for use of a private email server. Democrats most vocal month mentioning the FBI (1662 mentions) was May 2017 when President Trump fired Director Comey. 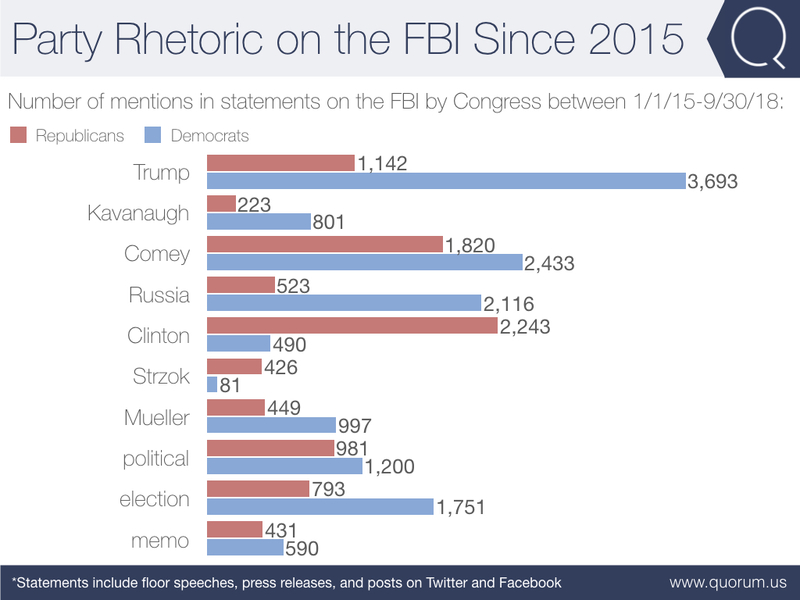 In statements mentioning the FBI, Democrats more often include keywords like "Trump", "Russia", and "election" whereas Republicans more often include keywords like "Clinton" and "Strzok".